Chatsworth House is home of the 12th Duke and Duchess of Devonshire. It is one Britain's best loved historic houses and estates. It is located in Bakewell in Derbyshire, about sixteen miles from Derby. Limo Hire Derby offers you the opportunity to travel to Chatsworth House in style. We host a wide range of limousines to cater for most people's taste. We provide chauffeur driven door- to- door transport from all areas of Derbyshire and the Midlands. The house is set in the glorious countryside of Derbyshire's Peak District. Inside this beautiful mansion you will find superb staircases leading to the State rooms with examples of famous and modern art and sculptures. Popular sights of interest and curiosity are the four royal thrones, sculpture gallery, paintings by Rembrandt and Van Dyck and the memorable illusionist painting of a violin hanging on a door. The beautifully kept gardens and grounds of Chatsworth give you the opportunity to enjoy a maze arboretum, Rose garden, and spectacular fountains. You can enjoy many miles of romantic or relaxing walks in and around the grounds. Film makers and TV directors have used Chatsworth House for classic productions such as The Duchess 2008, The Wolf man 2009 and Pride and Prejudice during 2005. Feel like a film star and travel to Chatsworth House in a limousine with Limo Hire Derby. There is plenty to entertain children at Chatsworth House; there is a working farm where produce from the farm is sold in the Farm Shop. The farm allows children to see animals up close and watch milking demonstrations. The outdoor play is a superb area that will keep children busy for hours. There is a secret tunnel, child size digging machines with plenty of sand, water pumps, and huge climbing frame with walkways, slides and trampolines. The park is suitable for toddlers and older children. Not only does Chatsworth provide lots of nature and history, throughout the year there are a number of fantastic events hosted in the grounds. Their programme of events offers experiences full of variety and wonder. These include demonstrations, horse trials, country fairs, concerts and fireworks displays. 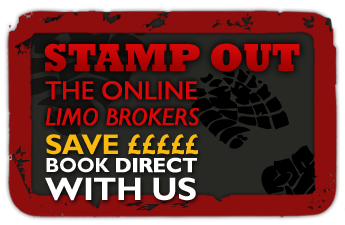 Whatever your reason for visiting, travel there with Limo Hire Derby. During your journey you will be able to relax and enjoy the breathtaking landscape. During your journey home, Limo Hire Derby could take you to a local public house or Inn so you can enjoy good beer and traditional homemade food. 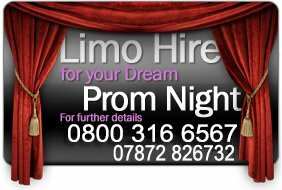 To find out more contact Limo Hire Derby.